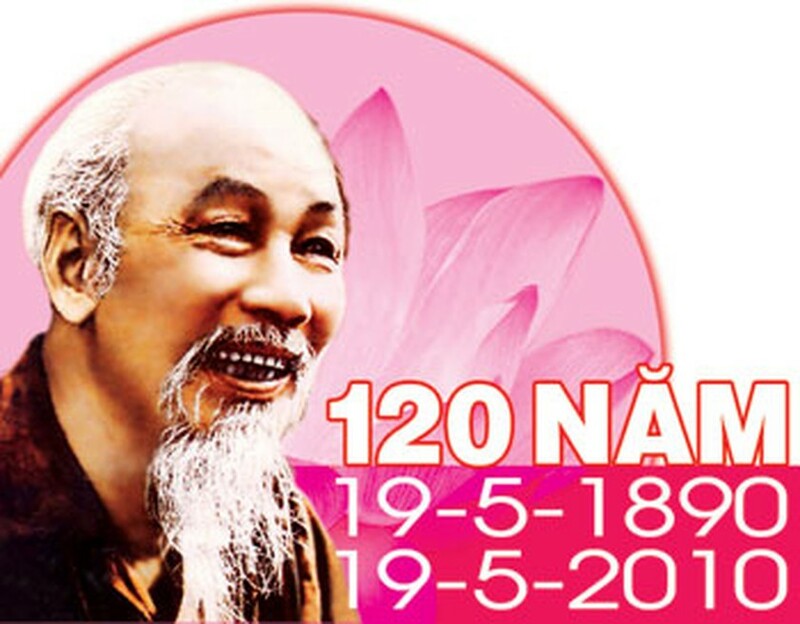 Government leaders and veteran revolutionaries celebrated beloved President Ho Chi Minh’s 120th birthday at Hanoi’s My Dinh National Convention Center on May 18. Speaking at the ceremony, Vietnam Communist Party General Secretary Nong Duc Manh recalled the great contributions and sacrifices the beloved President had made to ensure national liberalization. He commented no Uncle Ho’s unyielding commitment to revolution and socialism as well as the struggle for peace, independence, democracy and social progress in Vietnam and the world. Katherine Muller-Martin, head of UNESCO’s office in Hanoi, also praised the founding president’s contributions to national liberalization. Ho Chi Minh, the founding president of Vietnam known as Uncle Ho, was born May 19, 1890 as Nguyen Sinh Cung. But he adopted many alias’ throughout his revolutionary career. Earlier, General Secretary Manh and party and government leaders, including leaders from the Vietnamese Fatherland Front Committee, an umbrella organization for all socio-political groups in the country, had offered flowers and paid tribute to President Ho Chi Minh at his mausoleum. On the same day, a tree planting ceremony in memory of Uncle Ho’s 120th birthday was held at the intersection of the North – South Highway and the East – West Highway. 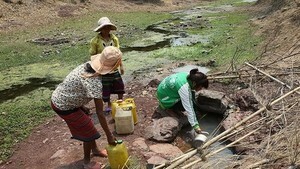 Participants planted 300 tamarind and perfume trees on 1.5 km stretch of road. Trees will be planted along the entire East – West highway through June 30. 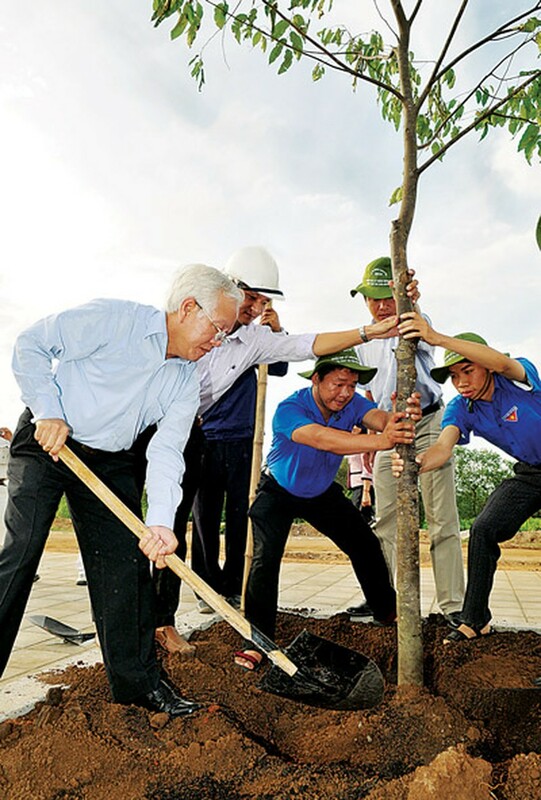 Around 500 delegations, including heroic mothers who lost children in the revolutionary struggle, government leaders and youth representatives, launched a Tet tree planting festival to be eternally grateful President Ho Chi Minh at Cu Chi District. Ho Chi Minh founded Vietnam’s first national park and had always said that local residents should plant trees to boost national development and beautify Vietnam. Also, work began on a temple to President Ho Chi Minh at Dinh Hoa Revolutionary Base Safety Zone (ATK) in the northern province of Thai Nguyen. The temple will be a kind of sanctuary where people can come burn incense and give their prayers and offerings to Ho Chi Minh. In related new, a book collection called “Ho Chi Minh with Artists – Artists with Ho Chi Minh” was released in Hanoi on May 18. The book collection is expected to contain 16 400-page volumes. On the same day, a book entitled “The Annals of Ho Chi Minh,” written by Hellmut Kapfenberger from Germany, was released in the capital. The book gives and overview of the life and career of Ho Chi Minh. An exhibition entitled “Uncle Ho with the People’s Armed Forces” was held at the Vietnam History Museum, Hanoi, showcasing 300 documents, exhibits and pictures of President Ho Chi Minh.